I can't remember where I heard about this novel, but for whatever reason, I found it on my book list when I was perusing it, desperate for a good read. The book did not disappoint. I raced through the novel in three short days, abandoning all school work in favour of just one more chapter. I loved the themes, the writing style, and the characters from page one until the very end. This is the story about childhood and growing up and being different in the world for one reason or another. The writing style was the first aspect of the novel to sweep me along. 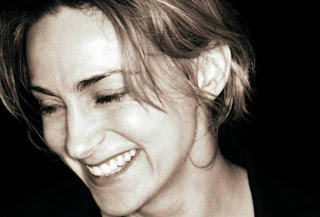 The author has a whimsical way of description and creating the world of the characters. With such whimsy she had me laughing out loud and wondering about the hurt and pain that exists in the world. I never tired of her writing style and never did it become repetitive or predictable. 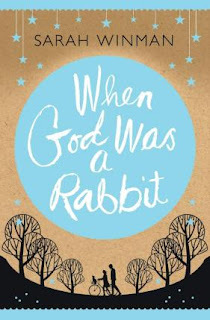 Rather, it was a refreshing was of bluntly describing a world that could seem painfully read and strangely make believe. The characters were the next aspect that drew me further into the story. Starting from the early childhood of the protagonist, a four year old little girl at the start of the novel, and her older brother, the story ushers the reader along into their adulthood. The characters, a brother and sister, maintain a very close relationship, wtih the brother forever looking out for his younger sister. Their relationship is a unique one as each of the siblings has their own reason for never feeling entirely normal in the world around them. A main theme in this novel is loss. Each of the main characters face a loss during the novel. The novel discusses the after math of the loss, such as the loss of a friend, the loss of a dream, the loss of childhood and how the character deals with the loss and continues with their lives. The book is not a dreary novel, full of sadness and heartache, but rather one of struggling through and carrying on and coming out on the other side. Though this novel deals with some heavy issues, the book takes on a positive tone and discusses healing, rather than defeat. The novel also discusses differences. The protagonist and her brother both feel and are different from the majority of their peers. For the protagonist, this is because of something that happened to her. For her brother, this is because of who he is. The novel discusses how they navigate their childhood, grow up, and move through adulthood, all the while feeling different from everyone else around them. This aspect of the novel didn't strike me, until I had mulled over the book for more than a week and became one of the features that I deeply appreciated. They were not made to be different in a savant or extraordinary kind of way. They just felt different in a normal kind of way. I appreciated the discussion of differences and feeling different and how that feeling can affect a person's life and the decisions they make. Friendship and relationships played a key role in this novel. The protagonist maintained a close relationships with her brother throughout the novel, despite distances between them and even through some pretty tricky life experiences. A friend of the protagonist, also different from her peers in her own way, carried another story line in the novel. This story was one that dropped off in childhood and was picked up again in adulthood. The story of these friends is one of resilience and perseverance, a very beautiful story. All in all, I very much enjoyed this novel and would certainly recommend it. It deals with heavy life issues and growing up, but maintains a wonderful sense of humour and banter. The author managed to weave together the lives of a number of characters to tell a fantastic story. Sarah Winman was born in 1964 in Essex, UK. She has worked primarily as an actress in Britain. 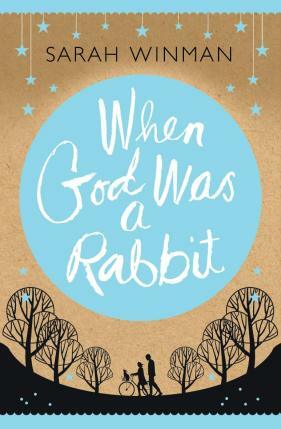 When God was a Rabbit, published in 2011, was her debut novel and made her an international best selling author. She also earned the New Writer of the Year Award for the book. 1. The characters. I loved their stories, their troubles, their lives, and their perseverance. 2. The writing style. The author managed to write about some deep issues without depressing the reader. The point of view of the characters was wonderfully expressed. Winman is a great writer. 3. The themes. There was a lot to mull over in this novel. I devoured the novel in just a few days and found myself thinking about it for weeks.